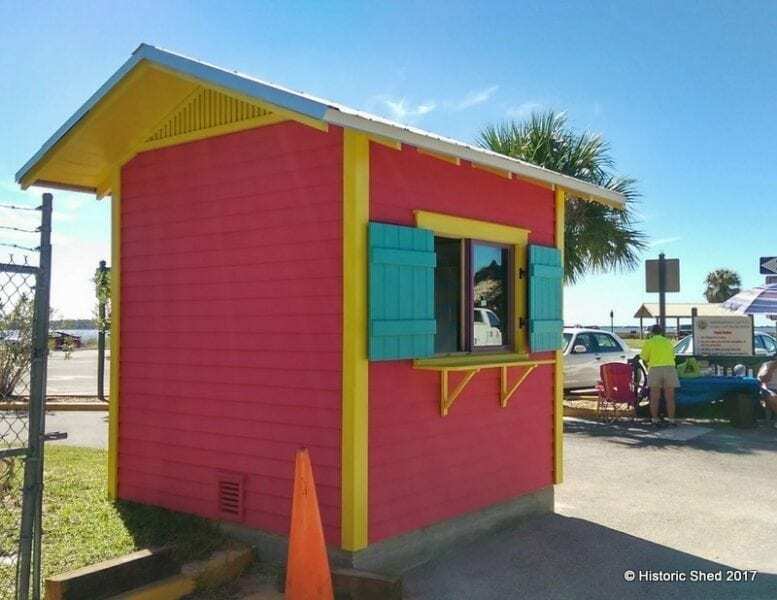 Historic Shed recently was able to put its mark on our own Hernando County by building a new 8’x8′ parking attendant shed for the Pine Island Beach Park. 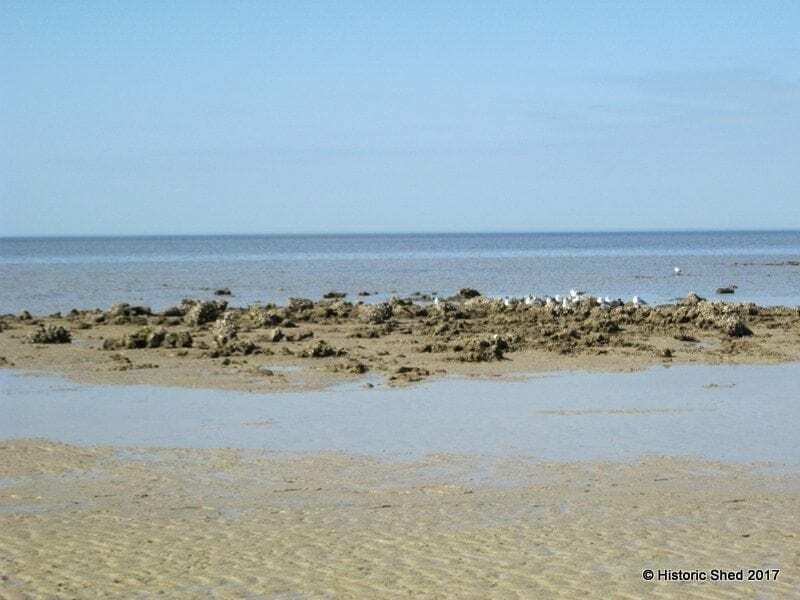 While Hernando County is located directly on the Gulf of Mexico, there are few public beaches, with Pine Island Park offering the only sandy Gulf beach. 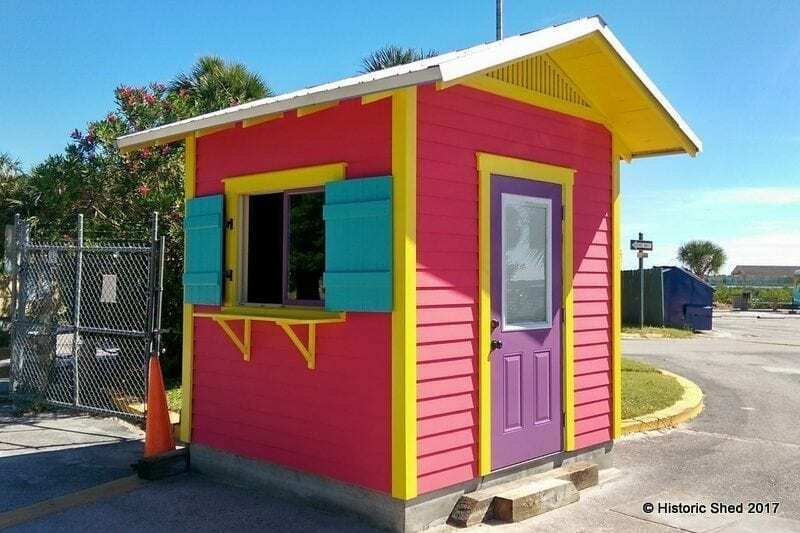 Therefore our little shack will be seen by many residents and visitors to Hernando County, particularly as Florida winter weather attracts northerners in the next couple of months. The island history is important in Hernando County history and some interesting background on the island and surrounding area can be read here in the Hernando Sun. The Gulf is very shallow off Hernando County and while Pine Island is beautiful, it is more a wading beach than a swimming beach. 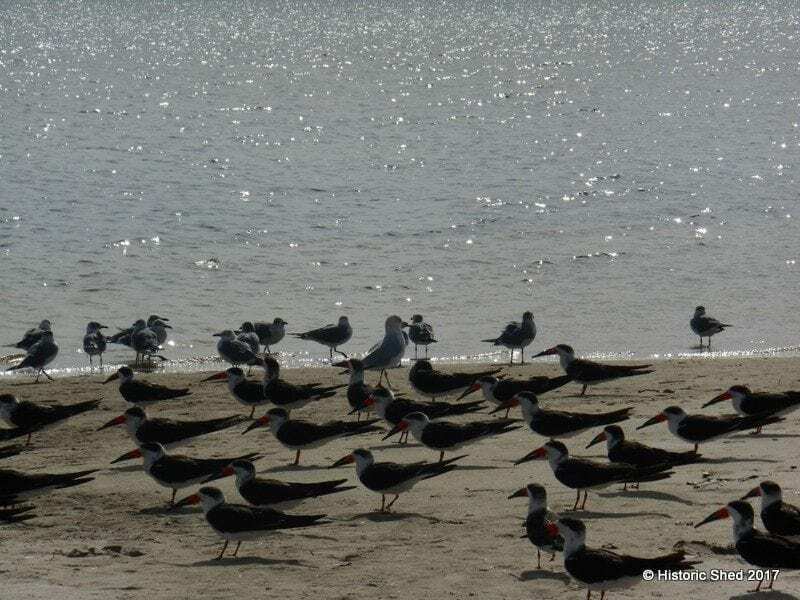 The birds really like the beach at Pine Island. 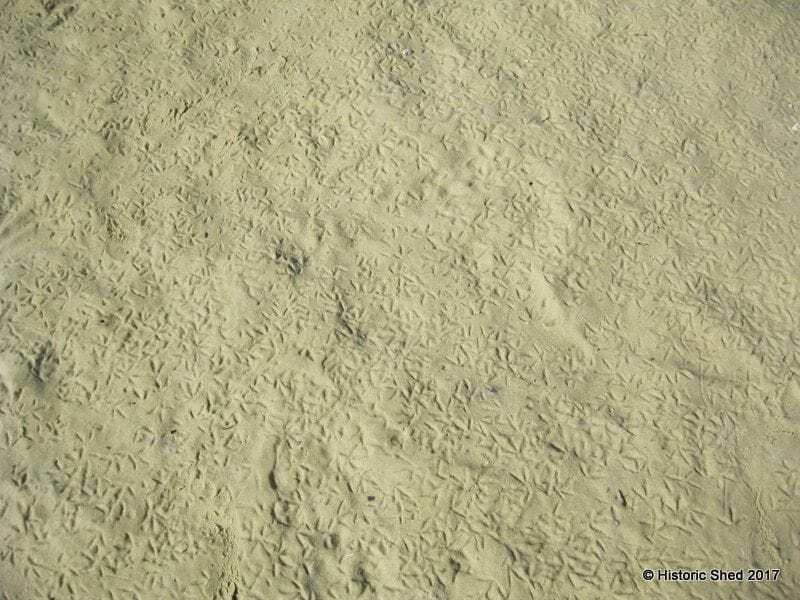 I take a photo of the footprint patterns nearly every time I go there. The small shed was placed on a concrete slab and the interior will be finished out by the county. The layout allows the parking attendant to take in the parking fee, while enjoying cool air from a ClimateRight 5000 BTU unit. The vibrant colors were chosen by County staff, who clearly had a really good time making their choices. The colors will compliment a new fence and playground equipment that are part of the overall park upgrades. 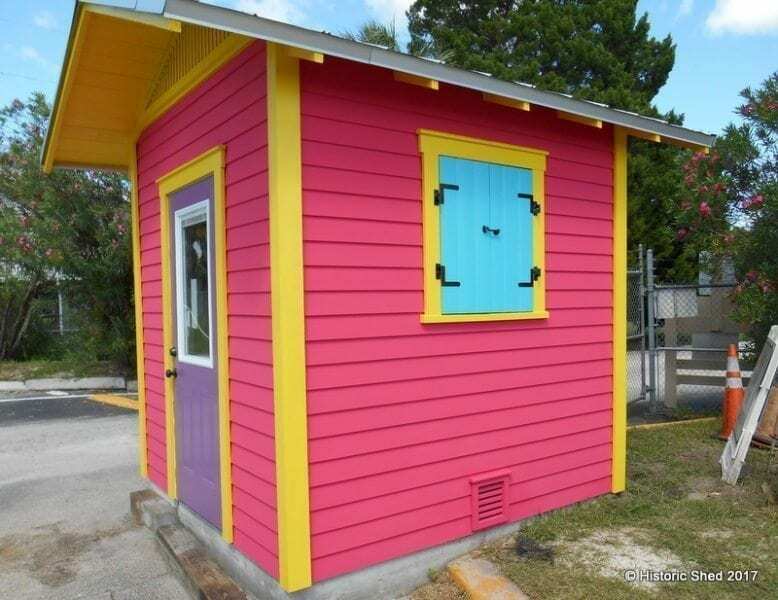 The shed’s vibrant colors now greet all visitors to the park. 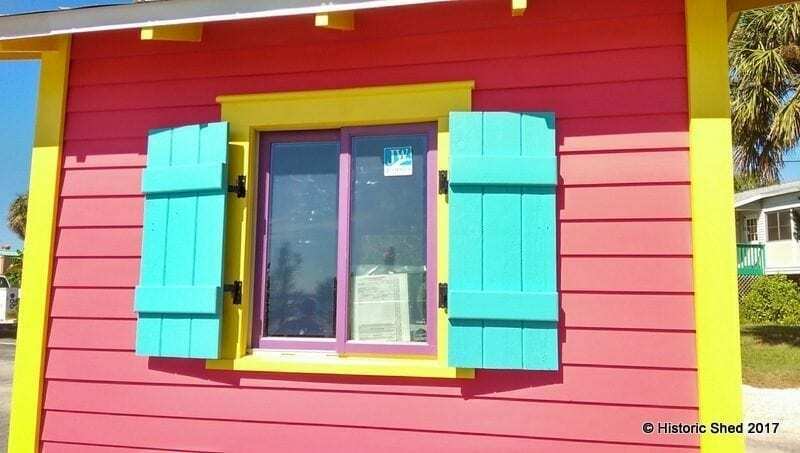 The cypress shutters are operable and allow the windows to be secured after hours and during storms. Hooks hold them open so that breezes won’t slam them shut. Flood vents are located on two sides of the shed as it is located within a flood zone. Shutters closed and latched. This is what shutters are designed to do. The batten shutters really make a nice accent on the shed, as well as being functional.